As a San Francisco law firm for car accident victims, The Brod Law Firm knows firsthand that car crashes are often much more complicated than they seem. It may seem simple to assess fault and the temptation to stop the analysis at the driver may be especially strong in cases involving DUIs. However, it is important to dig deeper to examine the many factors that contribute to drunk driving accidents. This process is vital to preventing future accidents and to ensuring justice is served for the victims. The San Francisco Chronicle reported this week on charges filed against two adults stemming from a fatal car accident involving an intoxicated teenage driver. The details are in dispute but it appears fifty-one year old Amelia Chin accompanied Margaret Qaqish, a seventeen year old friend of Chin’s daughter, to the Good N Rich Dairy Market where an alcohol purchase was made. The involved parties debate who made the purchase, but the alcohol appears to have been a factor in a car crash during the early morning hours on the following day. The driver, seventeen year old Sean Quintero, was intoxicated and reportedly debating music choices with his passengers when he failed to notice that the car in front of him had stopped. Quaqish, the teen involved in the store visit the prior day, was sitting in the middle rear seat when the car collided with the stopped vehicle. She was thrown forward and died at the hospital the following day. In November, Quintero, the teenage driver, pled no contest to charges including misdemeanor vehicular manslaughter and felony drunken driving. His blood alcohol level was 0.15% at the time of the crash, nearly twice the limit for drivers under California law. His sentence will be handed down next month. This week, additional charges were filed relating to the accident. Chin, a resident of Alameda, has been arrested on suspicion that she furnished alcohol to the teens. Additionally, Abduhl Azeem Buksh, a co-owner of the Dairy Mart and the clerk involved in the alcohol sale, has been charged with selling alcohol to minors. As noted above, there remains a dispute regarding who made the alcohol purchase and there are likely other specific facts that need to be clarified to determine how these charges will play out in court. Underage drinking is illegal and dangerous, especially when cars are involved. Educating our young people is key, but it is important to remember that California law also imposes responsibility on adults. It is a crime to provide alcohol to a minor. A law that went into effect at the beginning of 2011 reiterated the legislature’s concern on the matter by expanding the liability of adults for actions that occur in their homes. The social host liability provisions make adults liable if they provide alcohol to minors in their residence, such as when hosting a party for their teenage children and their young friends. Parents may believe that hosting a party promotes a safer environment, but teenage drinking is still illegal and the law is very clear that the adults involved are committing a crime. 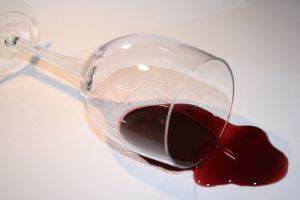 In addition to criminal charges, civil courts can and will hold adults liable when they furnish alcohol to an underage individual who is later involved in an accident. As a San Francisco law firm for DUI victims, we work to make sure that injured Californians receive all the compensation the law allows. We are fully prepared to include those whose disregard for the law and safety contributed to an accident in these lawsuits. Victims face staggering economic and emotional costs after an accident and we will work to ensure that they recover damages to help them in the aftermath of the incident. This means looking deeply at the events that led up to the accident, applying the law to the circumstances of the specific case. We hope that adults will think twice before providing alcohol to teens. We believe that DUIs can be avoidable with responsible decision-making. However, if you or a loved one has been injured by a San Francisco drunk driver, please reach out to us. We can help you recover compensation from the driver and from other individuals whose poor decision-making contributed to your injury.